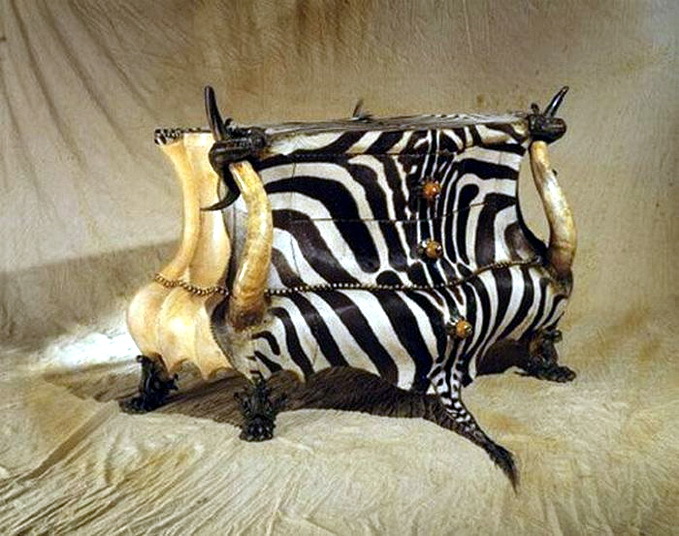 Furniture from Michel Haillard featured in this page causes mixed feelings. 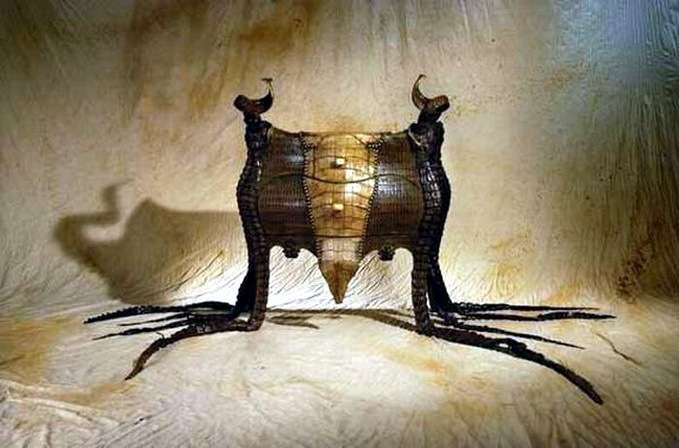 On the one hand, it is striking in its concept, quality of performance, its luxury eventually. 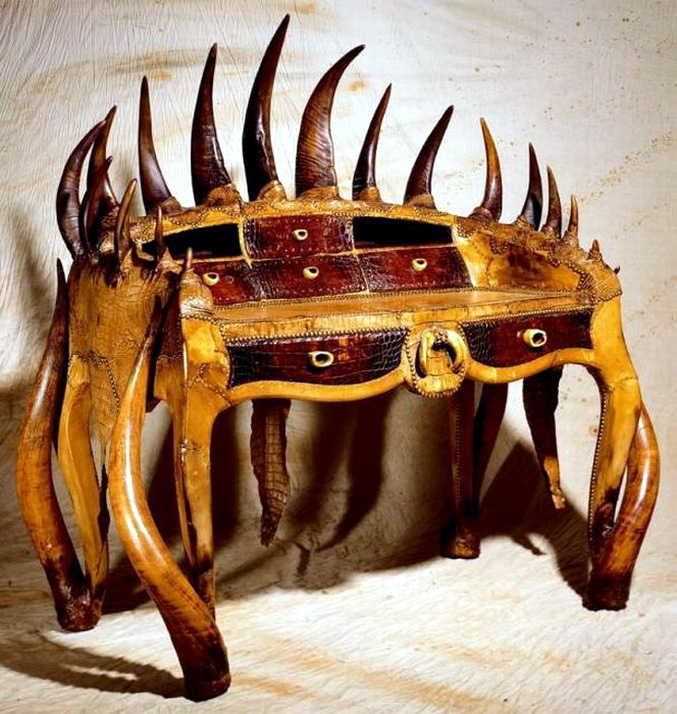 On the other hand there is an idea that this furniture is from hell. 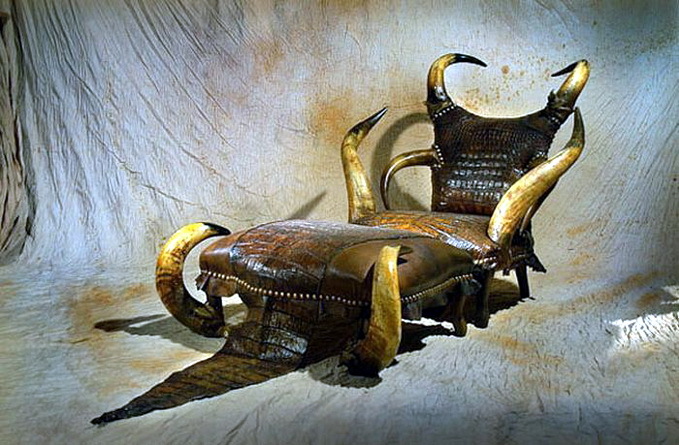 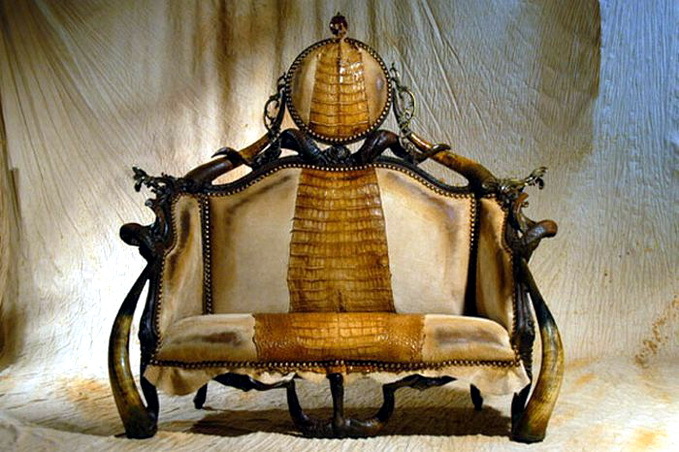 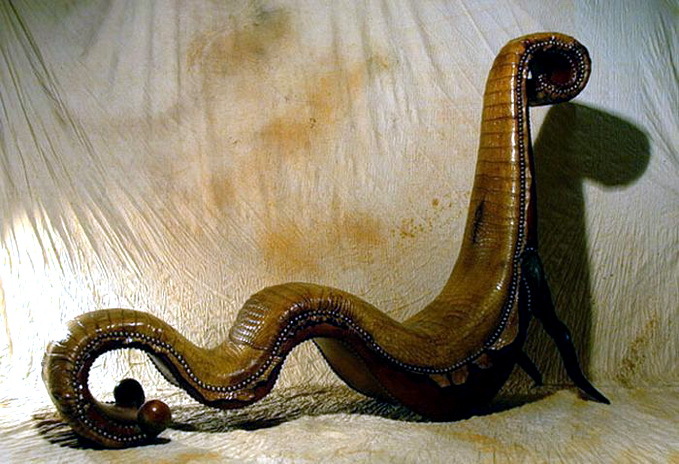 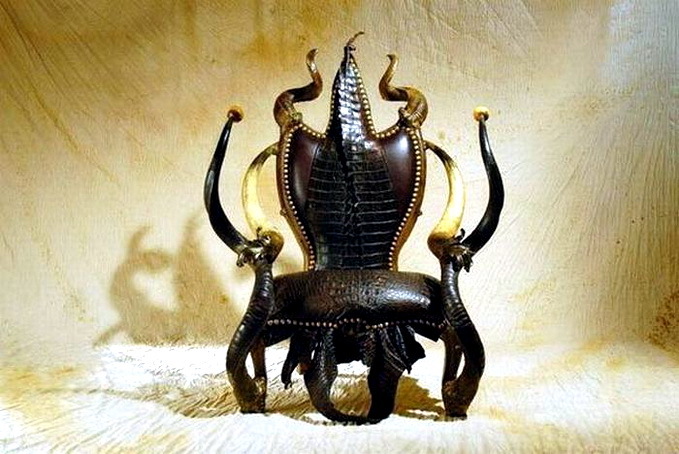 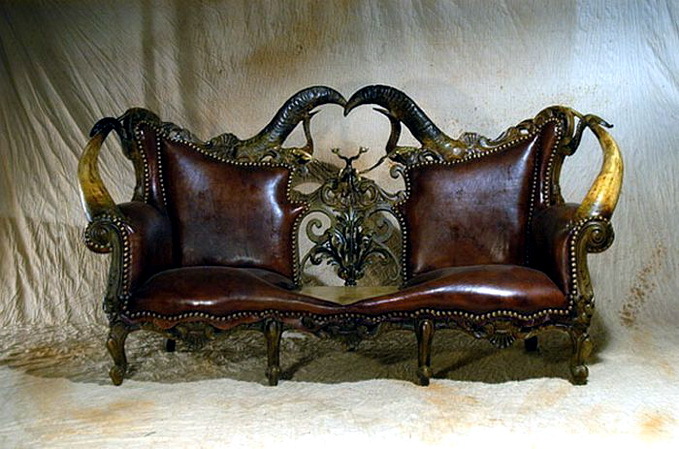 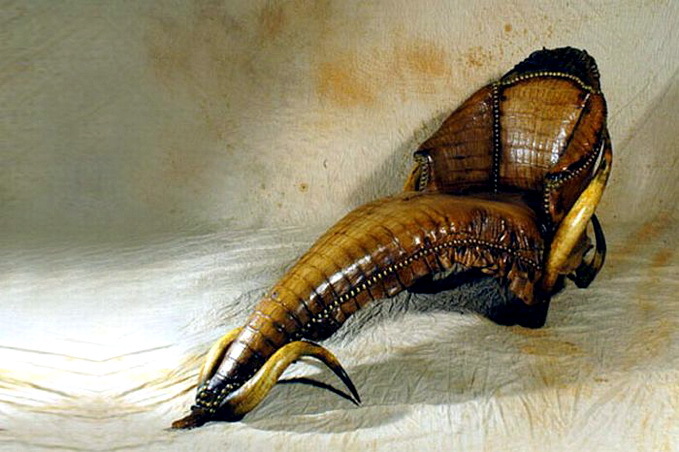 To produce all this infernal furniture were used the most drastic materials starting from crocodile and ostrich skin and ending with horns and tusks of wild animals. 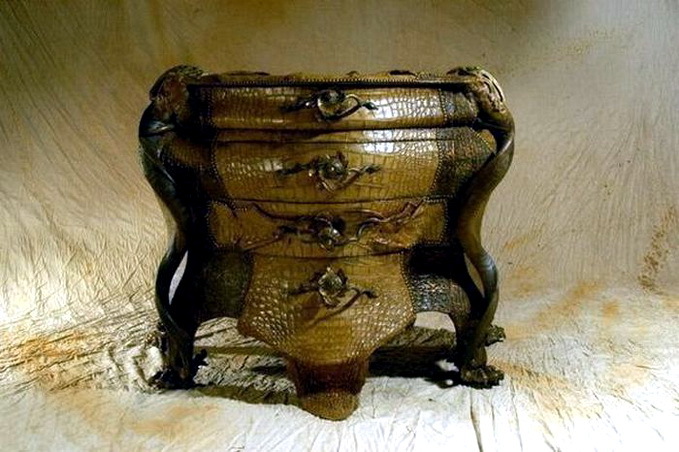 Also it was created not without natural fur, which are covered inside cabinets and drawers. 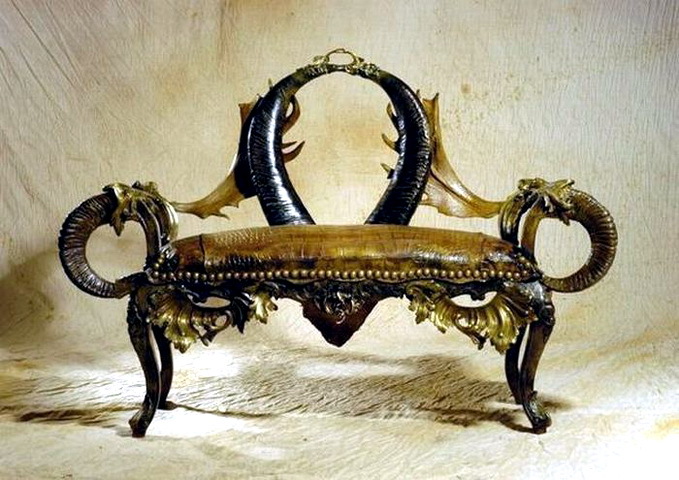 The frame and trim are made from wood, bronze and silver. 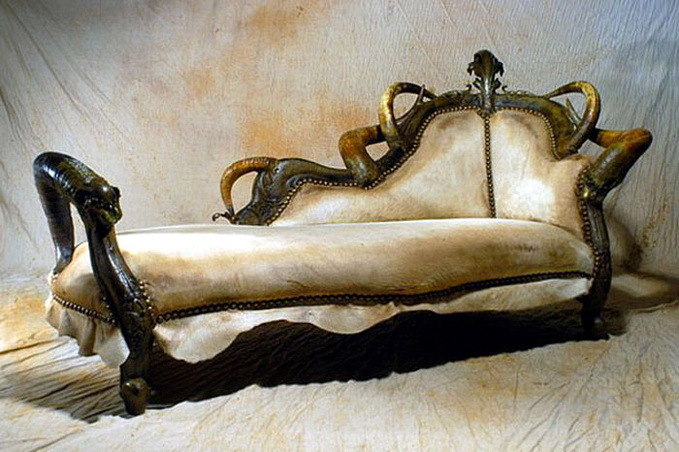 By the way studio working with the material of the customer. 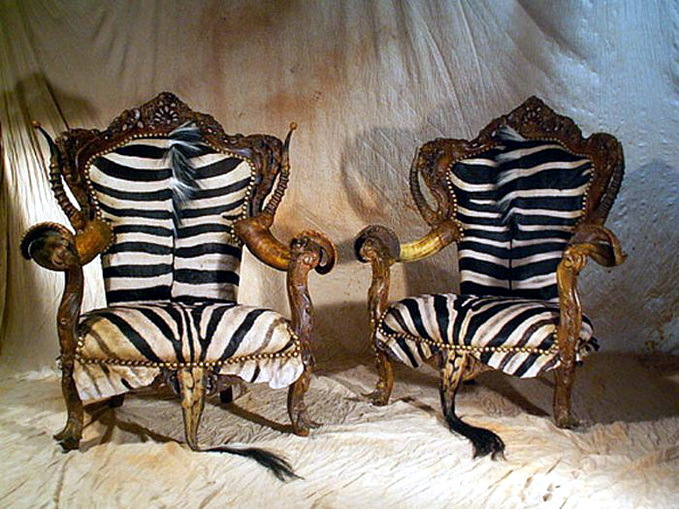 You bring the skin of dead animals, and in return get the furniture made from it. 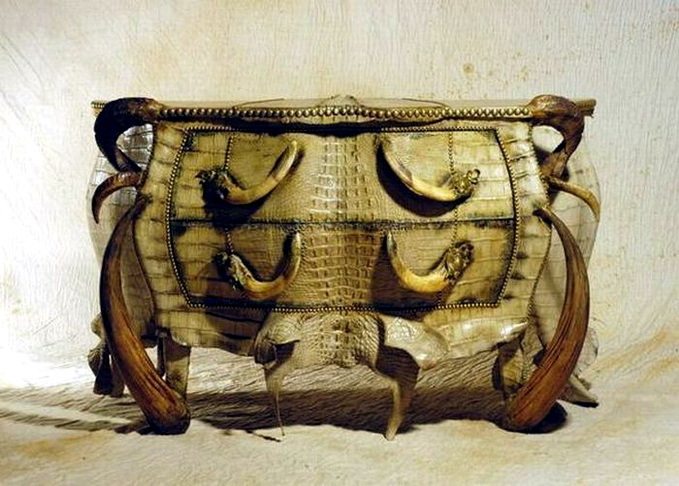 It is part of the interior and the subject of hunting pride at the same time. 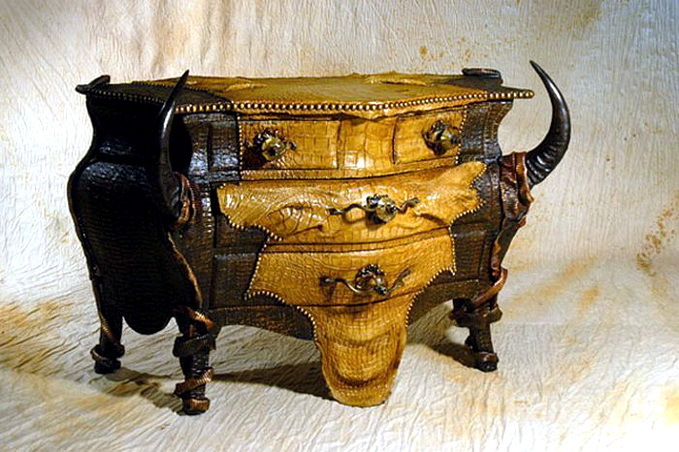 Naturally, every piece is unique and the price for it is transcendental.